The iconic 31km Light to Light Track follows some of South East Australia’s most spectacular coastline. On a fairly isolated stretch of coastline on the Far South Coast of the State of NSW in Australia. Our nearest town is appropriately named Eden. 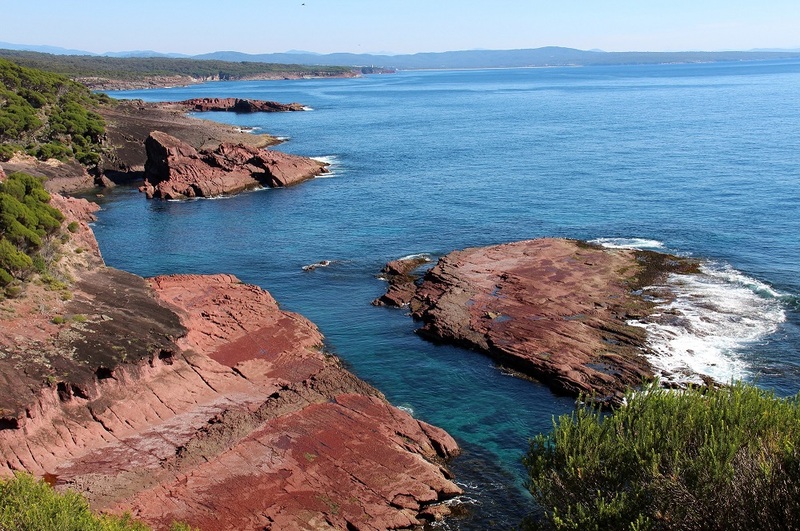 Located in Ben Boyd National Park in Australia’s Coastal Wilderness region, the 31km track passes rock dating back over 400 million years, a marine environment with incomparable diversity, coastal heath and forests of banksia and ti-tree. Ancient Aboriginal shell middens on the shores showcase a resource-rich ocean. The stories of an incredible and long-lasting relationship between whalers and Killer Whales adds to the mystery and wonder of this place. This place is very very special. By Road: Access is from the Princes Highway, via Edrom Road and Green Cape Road. The highway turn off is18.5km south of the town of Eden in NSW. 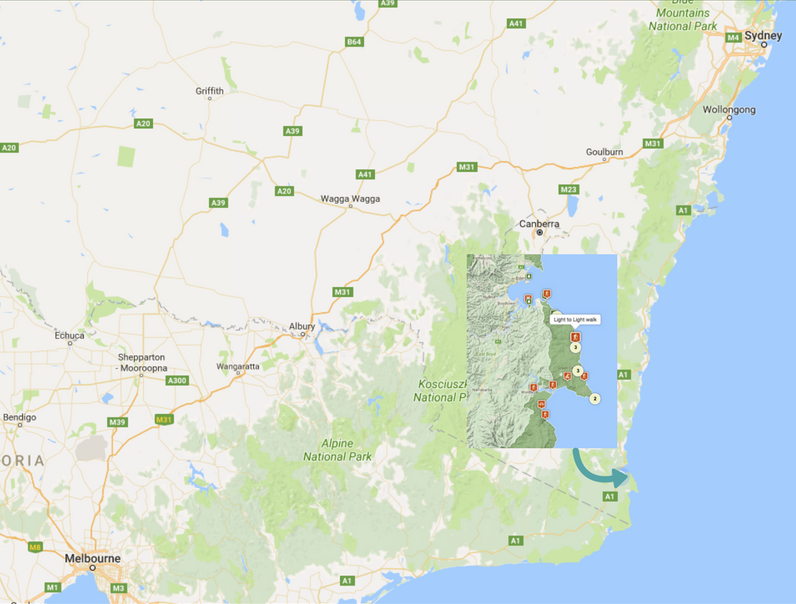 Eden is 550km north of Melbourne (6 hrs), around 500km south of Sydney (6 hrs) and around 300km east of Canberra (3 hrs). We will provide detailed directions when you book our tour. By Air: There is a small regional airport at Merimbula, around 24km north of Eden. Regional Express (REX) flies daily from both Sydney and Melbourne. We can pick our guests up from the airport if required. 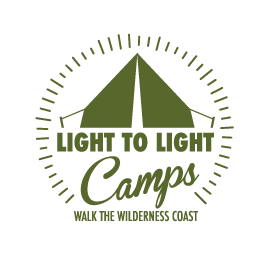 Walk the wilderness coast with the support of Light to Light Camps. Many thanks to John & Lyn Daly from takeawalk.com.au for generously allowing us to republish their comprehensive notes and maps on the Light to Light Walk. John & Lyn are Australia’s best known authors and leaders of bushwalking guides and walking tours. Our customers are provided with a comprehensive pack of information upon booking a tour. We encourage you to learn all you can about the region, the Park and the Walk before you arrive as it will enrich your experience. Feel free to call us or email us if you have any queries. We are happy to answer any of your questions!